Since 2008, The Chiari Group has been raising funds for Chiari Malformation research. We began by supporting research that addressed the challenges Chiari created for the pediatric population. While the symptoms of Chiari and the level of suffering can vary greatly, the most common challenge for people with this condition is finding effective pain relief. Therefore, we are currently focusing our efforts on funding non-addictive pain management research. Our goal is to improve the quality of life for all those suffering from the pain that Chiari can cause. Beyond helping those with Chiari, this research will also aid anyone suffering with chronic, debilitating, pain. Please join us for this year’s race on November 11, 2018. Registration available online through Active.com and on the day of the race. Cash, checks, and credit cards accepted. Meadowbrook Park, 7901 Meadowbrook Lane Chevy Chase, MD 20815. Thanks to all who came to our 2015, 2016, and 2017 races! Each year we have increased the number of our participants; last year we registered 362 people and raised over $20,000! This would not have been possible without your continued support. A special thank you to our generous donors and our devoted team of 30+ volunteers who work tirelessly to plan and execute each race. Without them, this inspiring event would not be possible. Please join us for this year’s race on November 11, 2018. Registration available online through Active.com and on the day of the race. Cash, checks, and credit cards accepted. 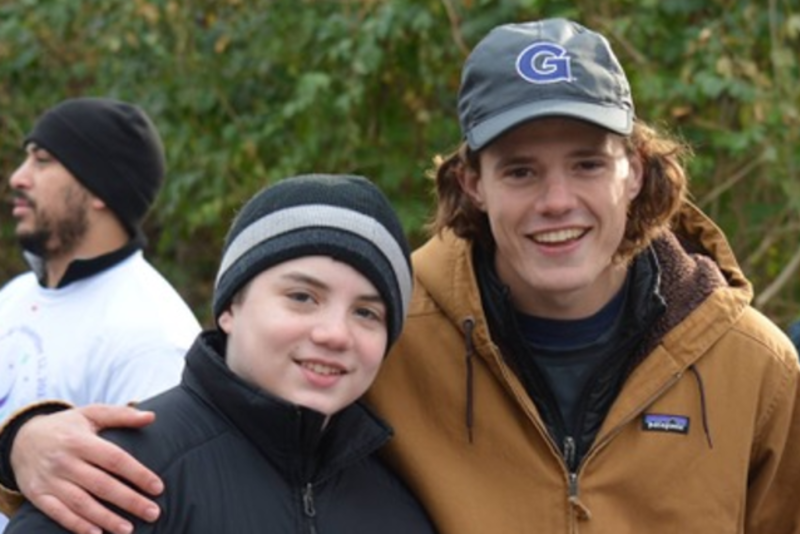 Meadowbrook Park 7901 Meadowbrook Lane Chevy Chase, MD 20815 Thanks to all who came to our 2015, 2016, and 2017 races! Each year we have increased the number of our participants; last year we registered 362 people and raised over $20,000! This would not have been possible without your continued support. A special thank you to our generous donors and our devoted team of 30+ volunteers who work tirelessly to plan and execute each race. Without them, this inspiring event would not be possible.